I’m not much up on soda cans....anybody recognize the can under this Iroquois Draft? 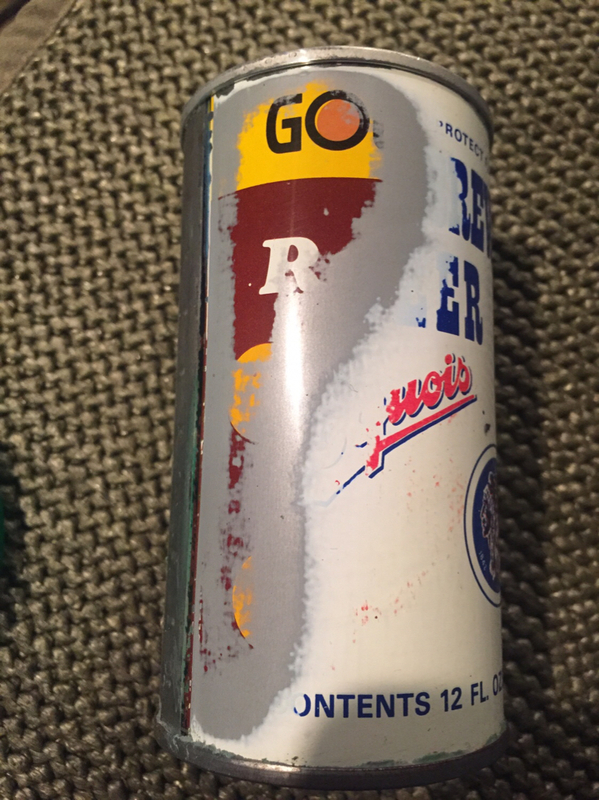 Re: Root Beer Paint Over? I believe this is the rare Go Ram Yourself Cola. It's a Golden Age root beer....virtually worthless. Go Ram Yourself!!! I’ve been looking for one of those!! kamsquared wrote: Go Ram Yourself!!! I’ve been looking for one of those!! Was the other can worth more? usually you'll find Frankenmuth's under these. I'm guessing that's what Kurt was looking for? LEON. Tommy!! Is that worth more than a rubbed out Land o Lakes dumper root beer?! !